They make you happy and calm. That is the magic of flowers. Whether in your hand or on a broach or on your dress or your bag, its hard not to notice them. 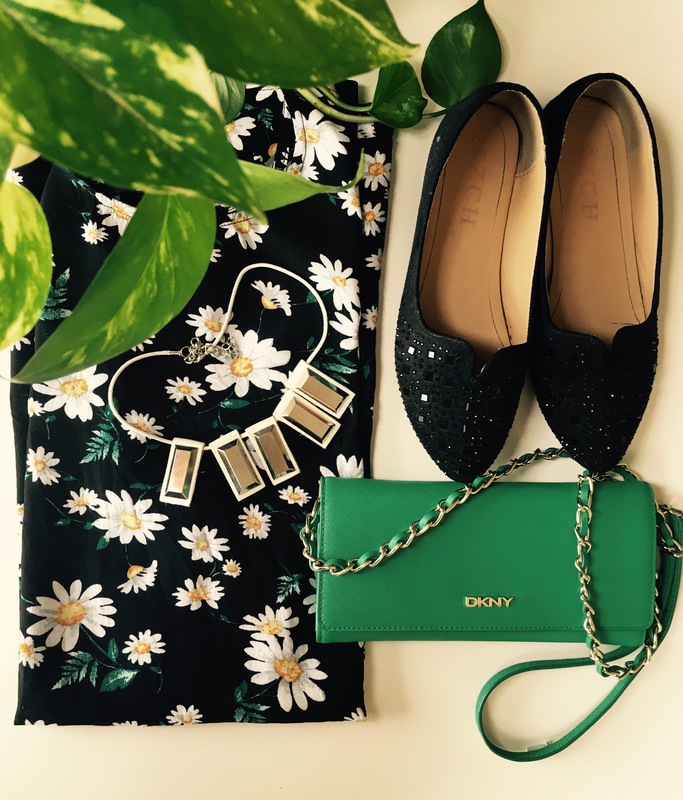 Floral prints are unmissable. They complement any body type and anything. Wearing a floral print is like carrying a flower in your hand , and offering everyone a smile. Although there is one sad story about how flowers die to shatter happiness explicitly. They are like matchsticks. They die lighting a candle. They are the solutions to sadness and happiness. Let’s try planting them on rose day than plucking them away. Let’s live with them rather than they living for us. They are so evidently beautiful that even the shadow of them brings brightness. Whether they are embroidered or printed , whether they are in bundled or stand alone, they just pull your heart towards them. This floral dress was a impulse purchase. The way the white sunflower on black color claim it’s beauty in the dress , it’s astonishing. How alluringly opposite color black and white endorses each other. That’s the beauty of flowers. Not a single color is wrong. I just wore this dress carelessly for a lazy stroll in the mall. To brighten the White floral print , I added one of my favourite white neck piece. And in the rush of the moment slipped into my comfortable black ballerina shoes. The magic of the dress is not in the silhouette but in its conjuring print.